If we are learning how to drive a car or speak a foreign language, the notion "practice makes perfect" applies. But how do you learn something where the stakes are higher? How do you train a surgeon? If we are learning how to drive a car or speak a foreign language, the notion “practice makes perfect” applies. But how do you learn something where the stakes are higher? How do you train a surgeon? One of the most important ways to train young surgeons is, yes, practice. Hands-on training usually means operating on cadavers, which can be scarce, expensive, and difficult to store. Or, students can sacrifice some of the realistic feeling of human tissue and practice on foam models. “It’s important that a student does as many simulations as they can. And the closer that simulation is to reality, the closer it is to actually feeling what it’s like to operate on a patient,” Cheng says. 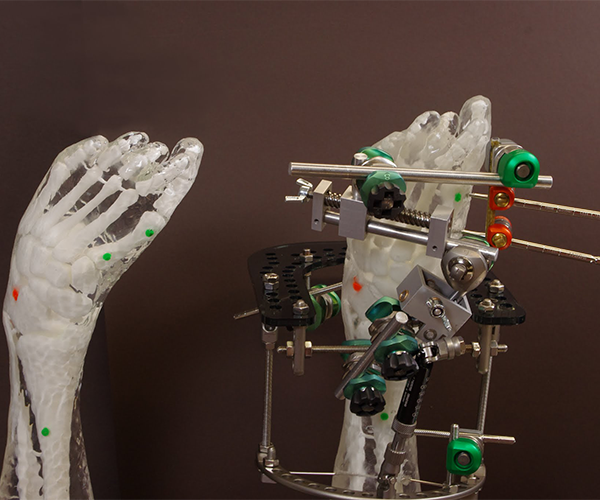 For a new type of hands-on surgery training tool, Cheng is looking to Mechanical Engineering Professor Kenji Shimada. 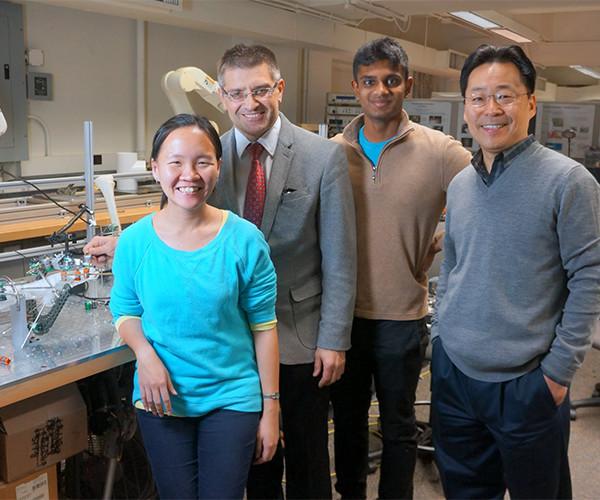 Shimada’s team, which includes BME Ph.D. alumna Ying Ying Wu and MechE graduate student Mabaran Rajaraman, has combined their expertise in mechanical design, medical devices, and biomedical applications to create the medical phantom model for training surgeons. Currently designed for training orthopedic surgeons, the model combines hard, bone-like material with a soft gel that mimics human tissue. Innovation can infiltrate the healthcare system in many different ways as long as we keep an open mind about it. The team uses 3-D printing to create the bones, giving them the ability to build specific models directly from patients’ CT scans. Using this technique, they have honed in on one specific training area: clubfoot correction surgery. 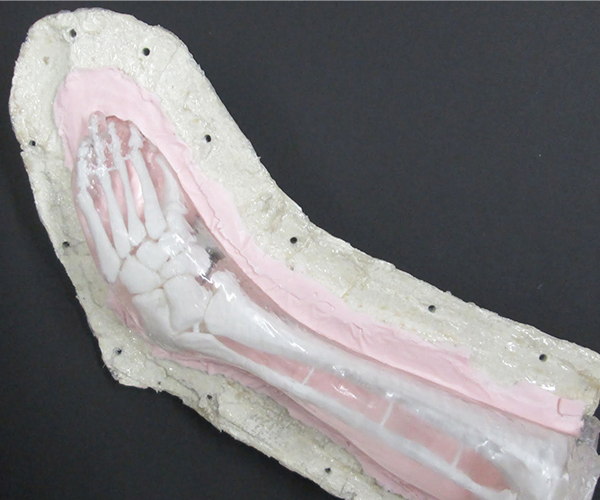 This research, titled “A patient-specific flexible 3-D printed orthopedic model for training and teaching of clubfoot correction surgery,” was recently published as a featured article in 3D Printing and Additive Manufacturing. About 1 in 1,000 babies are born each year with clubfoot in the United States, and in developing countries, such as the Polynesian Islands, about 75 babies in 1,000 are born annually with the birth defect. Caused by short tendons in the foot, clubfoot rotates an infant’s foot or feet inwards. It is often so severe that the bottom of the foot is turned entirely upwards to expose the soles of the feet. Left untreated, children afflicted with the condition are unable to walk normally. Shimada’s group is developing other applications of the 3-D printed medical phantom model and hopes to partner with a local surgical residency program soon. The researchers are optimizing the training tool by varying the internal structure of the bone-like material to better mimic the tactile sensation of drilling through a bone during surgery. For media inquiries, contact Hannah Diorio-Toth at hdiorio@andrew.cmu.edu.